The sound of a hedgehog snuffling round your garden has got to be one of nature’s most glorious delights but hedgehog numbers are in sharp decline with habitat loss and human activity thought to be the biggest causes. There are now believed to be less than a million wild hedgehogs left in the UK, with urban gardens providing a vital stronghold. Here are a few simple tips to help the spiky residents in your garden. Before you start, get down on your hands and knees and think like a hedgehog! Take a good look around your garden from this new perspective. How easy is it to get between gardens? Are there any good hidey holes? What hazards are there at ground level? 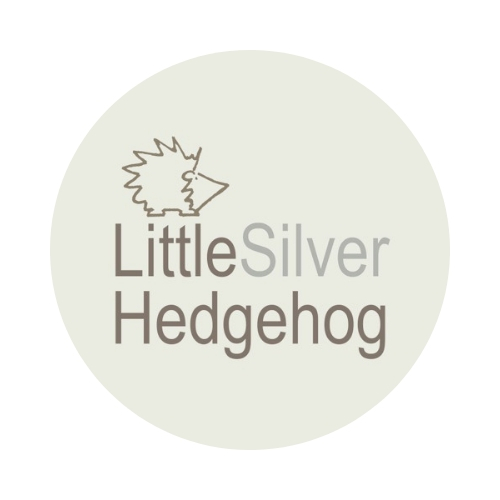 Tip 1 – Make a hedgehog highway! Hedgehogs need access to lots of gardens to find enough food and to find a mate. They can travel up to 2 miles a night. Please provide a gap at least 5” square within or underneath wooden/wire fences to enable them to travel between neighbouring gardens. Tip 2 – Provide a wild corner in your garden and don’t be too tidy – keep piles of leaves, logs and branches. These provide homes for insects (a hedgehog’s favourite food) and are also great hibernation sites. I’ve turned a gap under a disused BBQ into a hedgehog house full of dried leaves and twigs. Great for insects and hedgehogs! Tip 3 – Check before you use a strimmer on areas of long grass or fork over a compost heap – they may be home to a hedgehog. Tip 4 – Avoid using pesticides, slug pellets and herbicides. These can all make hedgehogs very poorly and even cause death. My garden flourishes beautifully without them. Tip 5 – Provide an escape route from ponds. Hedgehogs can swim but they will soon get tired and drown if they cannot find an easy escape route. Tip 6 – Keep netting at least a foot off the ground. Hedgehogs can get trapped in it. Tip 7 – Avoid dismantling sheds during the summer nesting period. Hedgehogs often make their nests under sheds. Tip 8 – Leave out food and water. If you feed them, they will come! Here’s some advice on what to feed them. Tip 9 – Check for hedgehogs before you light a bonfire and ideally move the wood pile to a completely different spot on the day of the bonfire. Wood piles are ideal homes for hedgehogs. Tip 10 – Cover drain holes and keep rubbish tidied away. Hedgehogs can get trapped in plastic and tins and may try to nest or hibernate in bags of garden rubbish left open. Tip 12 – provide a hedgehog des-res. Give your spiky visitors a helping hand by providing them with a good quality hedgehog home. Fill it with some hay to create the perfect starter home. My husband Joe with one of his homemade hedgehog houses. The divider helps stop wind, rain and predators entering the house. You can find out more about me and my work rescuing hedgehogs here. My work is entirely self funded. If you have found this information useful, you can read more about all the ways to support my work including my handmade silver nature jewellery. Next postHibernating hedgehog – dead or alive? Excellent tips! Our garden is left wild for hedgehogs, deer, pheasants and other animals. There is nothing more beautiful and mesmerising than nature. Thank you for an interesting post. Great tips, will share them with my kids. Have you found that the warmer weather is disturbing hibernation?